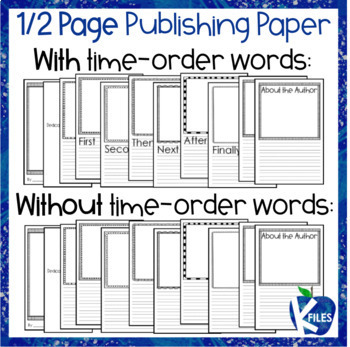 This set of Book Publishing Paper will provide your students with opportunities to become a "Young Author" at various stages of their writing ability during Writer's Workshop. 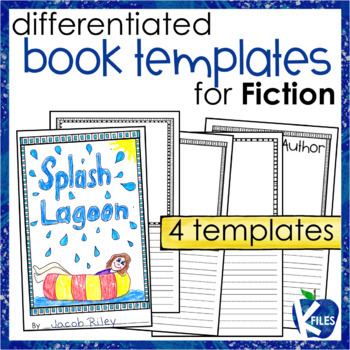 This resource contains 4 sets of publishing books in SEPARATE files to help you differentiate and meet the needs of all your young authors using a gradual release of responsibility framework. 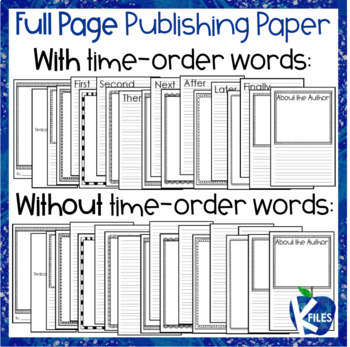 Print the booklets back to back, fold and staple to create a book for your young writers to publish their stories. I have also laminated the book covers to give the final piece a more professional look! Your kids will love it! Please visit my blog TheKFiles for additional resources and ideas!